The fact that they always said they would deviate from their ipad standard size, apple release ipad mini last year. They wasn't quite as popular as it should have been but sales are reasonably steady. We heard, via Macotakara a blog that plans for this have been put off until year 2014. 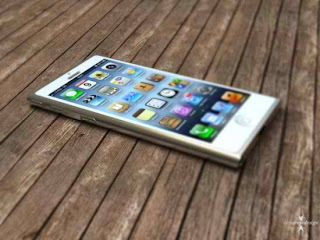 This new iPhone rumor will made of poly-carbonate rather than the glass and aluminum used, the price at reasonable 320$. Macotakura always pretty accurate with their reports, this one has the world tech talking. They sad that the new cheaper 7th generation iPhone will have a 4.5-inch screen, a larger screen that apple have ever made on a smart-phone before.However, don't expect it to have a smooth classy look of the iPhone 5 and iPhone 4S, its gonna be going to be chunkier of the materials of it, it will made from although it could wind up being far more durable models. Report from Macotakura also talks about iPhone 5S, the next iPhone model to be released by apple this year. They said this will be have a dual-flash led module, the 2 flash modules one on the top of each other to the right of main camera lens.